Award-winning products aid in increased energy return and shock absorption. 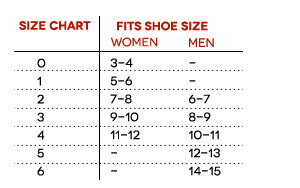 Insoles provide extra cushioning and protect the areas of your feet that need it the most. I love basketball, and as I get older I've noticed the impact on my knees. I swapped out the pathetic insoles that came with my basketball shoes with the polysorb and the difference was amazing and immediate. I like these insoles so much that I've spent a lot of extra time just tracking them down. They're not as pretty a design as some others, but they are lovely for the feet, knees and back.